Hold on tight - Ho Chi Minh City is a metropolis that is going places. It’s the flourishing fast-mover that’s somehow secured old Saigon onto the seat of its shiny, new motorbike as it roars off into the future. Few visitors get further than Districts 1 and 3, home to the Independence Palace, Notre Dame Cathedral and Ben Thanh Market, but rambling Binh Tay Market in Cho Lon (Chinatown) is worth discovering too. For a total contrast head out to Phu My Hung, known as South Saigon, where wide streets, smart villas, condominiums and manicured parkland appear to have been transplanted from California. Whatever you want, this incredible metropolis can deliver. Haggle hard in the markets or get measured up for custom-made clothes. Sip champagne cocktails with skyline vistas or swig cold Bia hơis (beer) from side street sup houses. Stay in grand international hotels or hide away in backpacker boltholes. 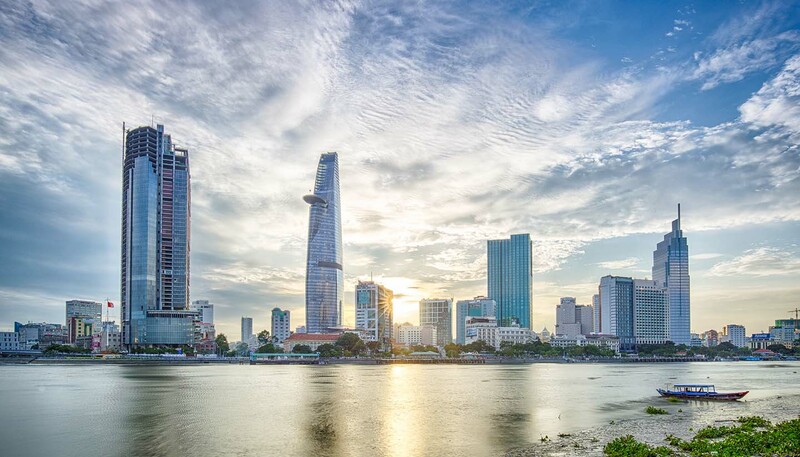 Ho Chi Minh City is the face of new Vietnam and she's ready to show it off.